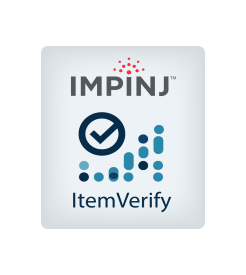 Impinj ItemVerify software helps shipping and warehouse management track and verify goods on conveyor belts to streamline operations and ensure carton content accuracy. By accurately identifying goods as they move on conveyors and enter and exit logistics hubs like distribution centers and warehouses, ItemVerify offers vital insight into shipment movements to streamline operations and reduce overhead costs. 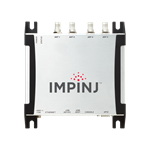 A typical ItemVerify system consists of entry and exit sensors, two or four far-field antennas, an Impinj Speedway Fixed RFID Reader, a constant-speed conveyor belt, and the ItemVerify software application. 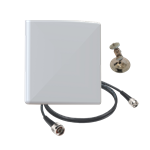 A typical installation does not require RF shielding in the form of a tunnel. Carton content reports are passed to the inventory control system. 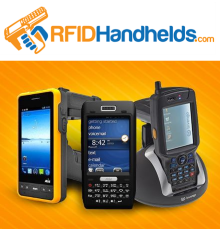 The result is improved inventory system accuracy and a significant reduction in shipping errors (cartons containing the wrong items or quantities). 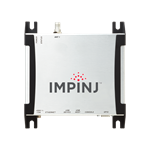 Impinj software delivers enterprise-ready Item Intelligence solutions that simplify RAIN RFID processes including device management, data processing and tag encoding. 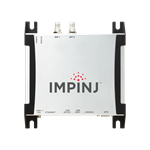 Whether you are managing hundreds of readers or bulk encoding millions of RAIN RFID tags, Impinj software solutions can help streamline operations and offer strong ROI to help improve your bottom line. 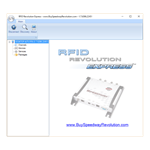 License Annual Subscription based on tag type and volume. The license is per site/location (no limit on instances per site/location).